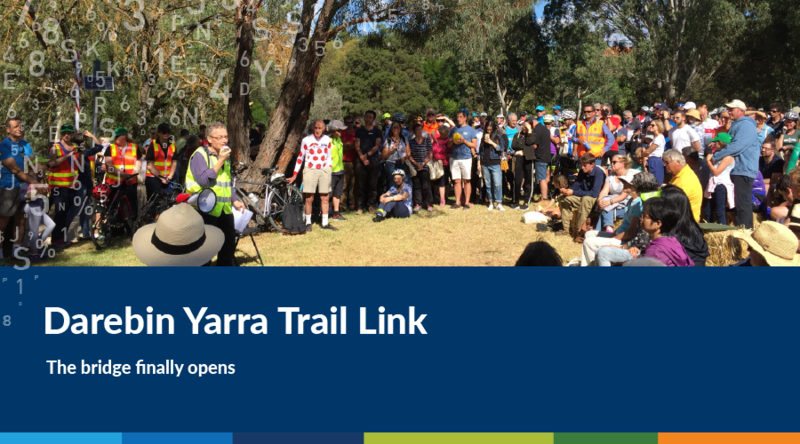 Our congratulations and heartfelt gratitude goes out to Graeme Martin and others who fought for the Darebin Yarra Trail Link which was officially opened on Sunday. 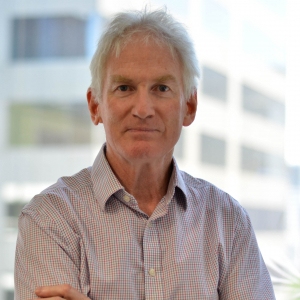 Graeme played a key role in the community coalition that has worked tirelessly to achieve this outcome, taking up the baton 12 years ago in a campaign that has taken over a quarter of a decade to achieve, despite making overwhelming good sense. The ‘missing link’ was officially opened at 11am Sunday 25 March, with veterans of the campaign converging on Alphington to be among the first to ride the new link over the Yarra. VicRoads, and the local community arranged a fitting celebration, including organised rides and a community BBQ for the event. Congratulations to all and special thanks to Graeme.